Make healthy lifestyle choices that will become lifetime habits - take home a taste of summer with local, fresh produce. 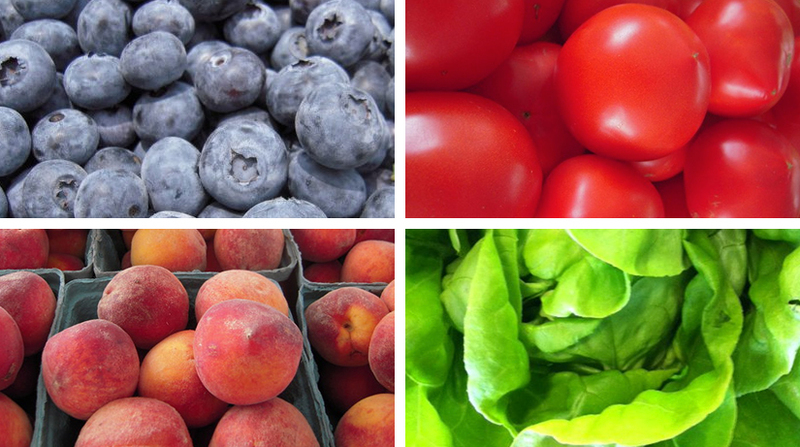 We sell a great variety of locally grown fruit and vegetables in season - tomatoes, zucchini, strawberries, blueberries, peaches, our specialty sweet corn, and much more! Our bakery is busy making fresh blueberry, peach, and apple muffins as the fresh fruit is available. Beautiful field grown hearty mum’s arrive in August and are for sale through October. July is national ice cream month and “We’ve got the scoop!” Any of our ice cream flavors is sure to please ice cream connoisseurs anywhere! Summer is the time of year to soak up the sun and to enjoy your favorite flavor of ice cream.